Size : 3.2 x 5.2 inches. / 8.1 x 13.3 cm. 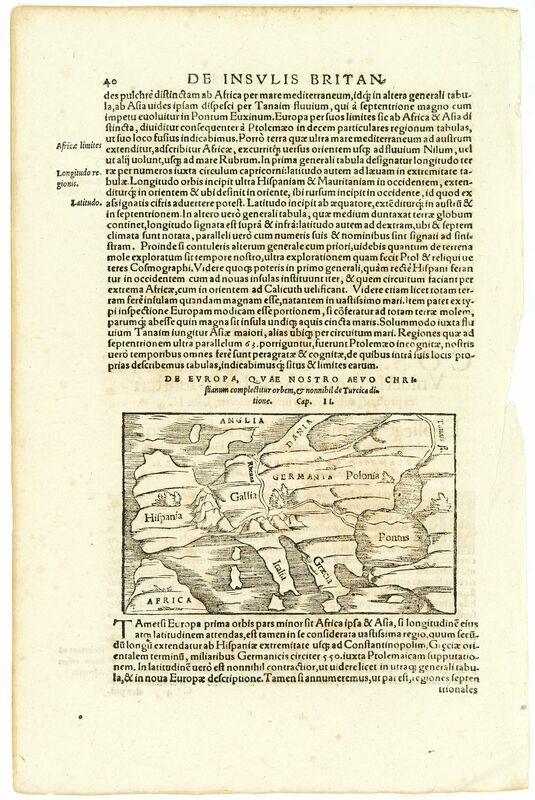 Description :On verso an early wood block printed map of Europe.